A pretty plus-size Snow White costume that includes a dress with satin bow pull-up detail and matching headband. We give you a white petticoat. Look at the Sassy or Peggy Sue wigs to help complete your costume! SKU: 83616X. Category: Plus-sized Women's Costumes. 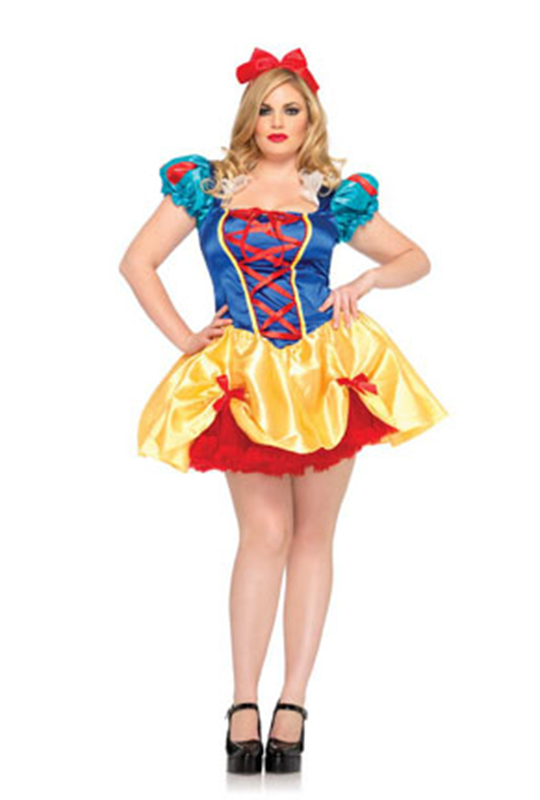 Tag: plus size snow white costume. Fairy Tale Snow White Costume includes a dress with satin bow pull-up detail and matching headband. Be the first to review “Fairy Tale Snow White Costume” Click here to cancel reply.